Nearly a century after it was theorized, Harvard scientists have succeeded in creating the rarest – and potentially one of the most valuable – materials on the planet. 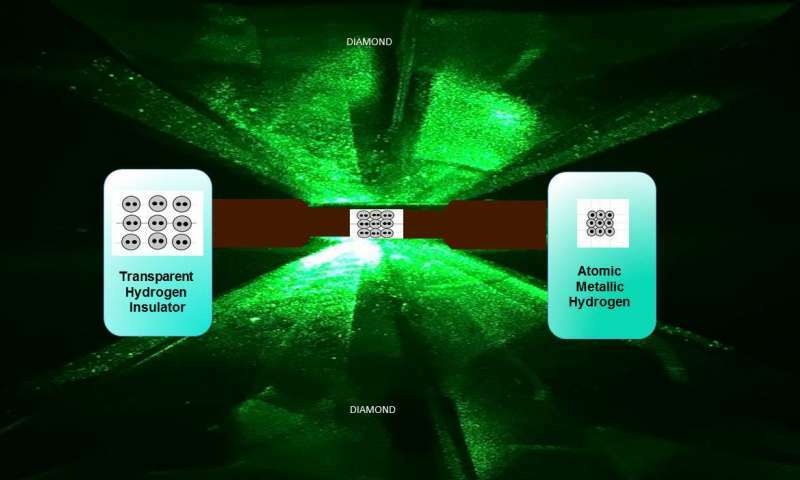 The material – atomic metallic hydrogen – was created by Thomas D. Cabot Professor of the Natural Sciences Isaac Silvera and post-doctoral fellow Ranga Dias. In addition to helping scientists answer fundamental questions about the nature of matter, the material is theorized to have a wide range of applications, including as a room-temperature superconductor. The creation of the rare material is described in a January 26 paper published in Science. To create it, Silvera and Dias squeezed a tiny hydrogen sample at 495 gigapascal, or more than 71.7 million pounds-per-square inch – greater than the pressure at the center of the Earth. 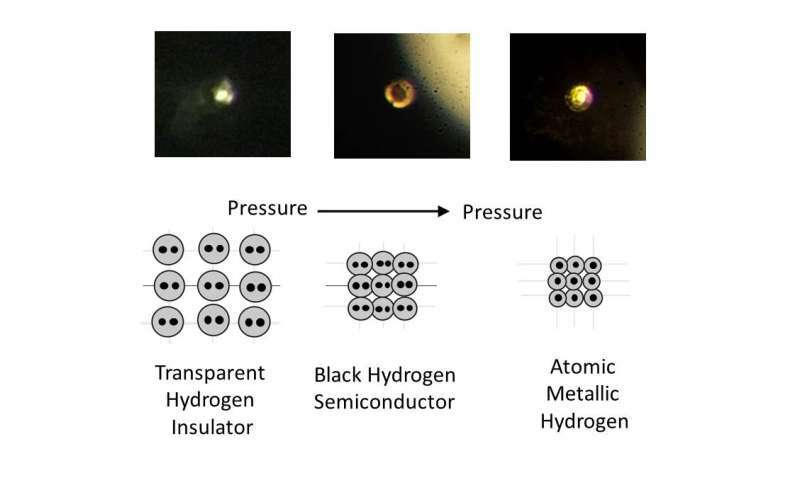 At those extreme pressures, Silvera explained, solid molecular hydrogen -which consists of molecules on the lattice sites of the solid – breaks down, and the tightly bound molecules dissociate to transforms into atomic hydrogen, which is a metal. While the work offers an important new window into understanding the general properties of hydrogen, it also offers tantalizing hints at potentially revolutionary new materials. The material could also provide major improvements in energy production and storage – because superconductors have zero resistance energy could be stored by maintaining currents in superconducting coils, and then be used when needed. Though it has the potential to transform life on Earth, metallic hydrogen could also play a key role in helping humans explore the far reaches of space, as the most powerful rocket propellant yet discovered. To create the new material, Silvera and Dias turned to one of the hardest materials on Earth – diamond. But rather than natural diamond, Silvera and Dias used two small pieces of carefully polished synthetic diamond which were then treated to make them even tougher and then mounted opposite each other in a device known as a diamond anvil cell. The solution, he said, was to use a reactive ion etching process to shave a tiny layer – just five microns thick, or about one-tenth of a human hair – from the diamond’s surface. The diamonds were then coated with a thin layer of alumina to prevent the hydrogen from diffusing into their crystal structure and embrittling them. 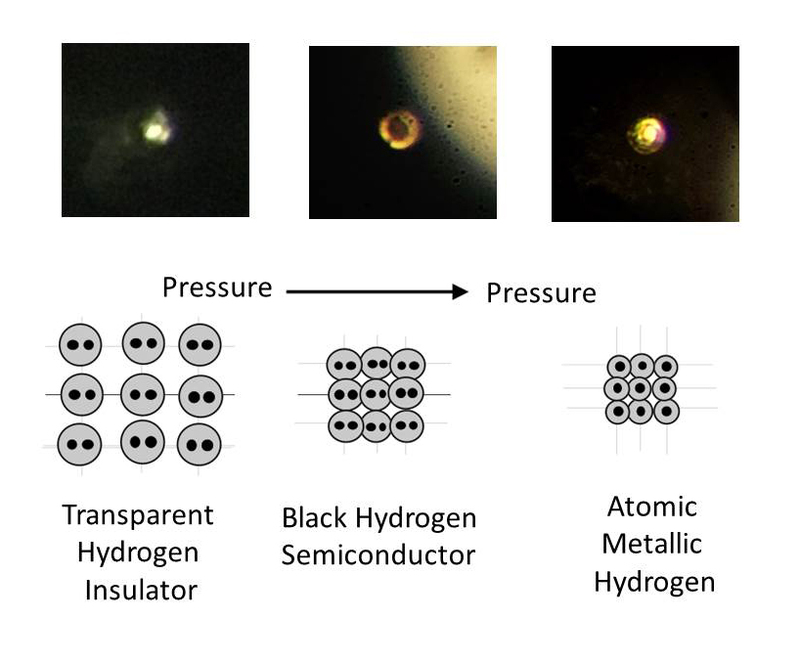 After more than four decades of work on metallic hydrogen, and nearly a century after it was first theorized, seeing the material for the first time, Silvera said, was thrilling. “It was really exciting,” he said. “Ranga was running the experiment, and we thought we might get there, but when he called me and said, ‘The sample is shining,’ I went running down there, and it was metallic hydrogen. This entry was posted on Saturday, January 28th, 2017. You can follow any responses to this entry through the RSS 2.0 feed. You can skip to the end and leave a response.